Dont take railfanning too seriously, have fun out there, I know I DO!! Here are two videos of NYSW 3634, 3020, 3672, and 3664 on SU-99 stalled at Butler, NJ 6/3/2006. I had to break the video into two parts because You Tube has a ten minute limit of video clips. Part one: The SU-99 stalls at Butler. There is great audio of the 3634's "howling" turbo charger in this clip. Part two: A mechanic has arrived to assist and turns the EMD/MLW lashup into a doubleheader in order to get the 99 moving. There is great audio of the 3636 and the MLW's slipping in this clip. Good to see 40 year locos working their heart out doing what they were designed to do so long ago! I can smell those traction motors cooking from here!!! dead or not loading and an overloaded train. hope the railroad inspects the rail in that area before running any more trains over it. least not without a long discussion with somebody in authority. on the branch with a delay but we could not get around the hill and up the grade leaving the station on the northbound trip. had a complaint about the power, they listened to me and at least tried to do something about it. that train was that long or heavy. I grew up in Butler, and that grade has been a thorn in the side of the Susquehanna for years. 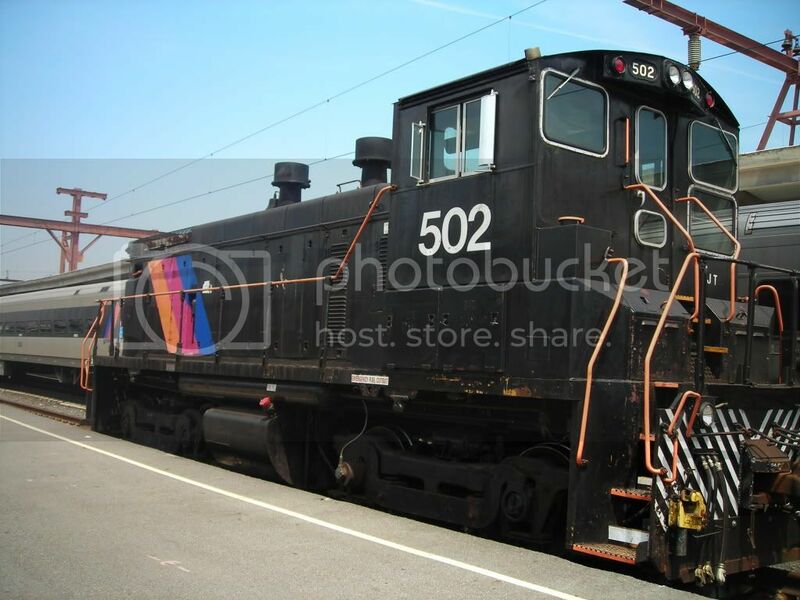 In the early 60's, I remember seeing 5 RS-1's struggling up the grade past the station at 3-4 MPH on a hot day, every door on the hoods open to keep them from overheating. The grade is approx. 7 miles long, starting in Riverdale and uphill all the way to the spot where the original Green Pond Jct. was. In later years, the stack trains sometimes had problems stalling too....with the crew of the local train being sent to shove up the hill with a single GP-18 or whatever power they had. Needless to say, there were a lot of concerns when a train stalled in town as the line literally cuts the town in half and isolated the fire department from half the town without taking a 4 mile detour to get around the train. before the nysw rebuilt the road fleet and had the scale installed. almost every night there was a set of pushers on the rear. Made for some great railroading for me. I didn't follow the nysw back in the daysof the stacks so this was like going back in time for me in terms of this video. Interesting that there were very few trash cars in the train. Usually more than half of this train is C&D cars. Dougster wrote: Interesting that there were very few trash cars in the train. Usually more than half of this train is C&D cars. True, but there did seem like an unusually large amount of autoracks... Mondays trains are usually short anyway! Thats it for now. A disabled NJT bus on Rte 23 North near Smoke Rise created a heavy traffic jam that prevented any further chasing. In any event, enjoy! Very dramatic and enjoyable shots there ! Not up on the Q power but was that an SD40T leading a CSX GP40, 2 Q SD45's with an NS GP38-2 ? Great Shots..... Wish I can take photos....Get out of work to late.